Bridgeport residents’ journey towards homeownership shifted into full gear this week! 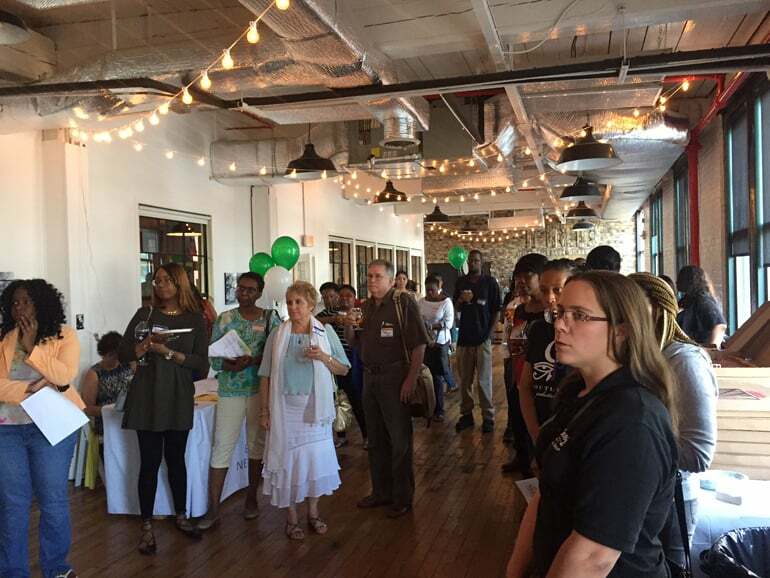 BNT’s Empowerment Resource Academy hosted “Homeward Bound,” on June 27th at Two Roads Brewing Company in Stratford, an event centered on celebrating National Homeownership Month with local community members. This year’s event had more than double the number of guests than last year’s event with a turnout of over 140 people. Guests learned about homeownership opportunities, networked with industry professionals, won exciting prizes, and toured the Two Roads Brewery. Guests left with great contacts, access to community resources and essential information on housing and community resources. For anyone interested in beginning their journey to homeownership or learning about other housing resources, contact BNT’s Empowerment Resource Academy, 203-290-4255 and register for a one-on-one counseling session and/or sign up online for a class to get started!